Group Discussion Ideas > Political GD Topics > Union Budget 2017-18 – Is it beneficial for the common man? 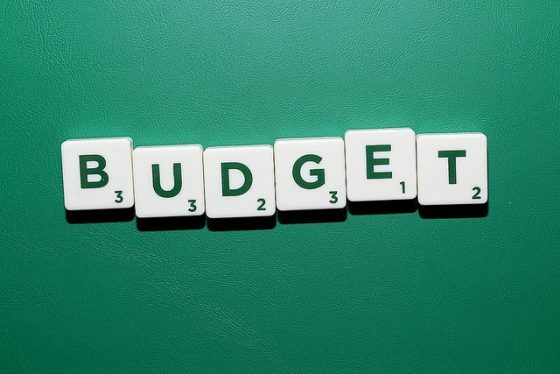 Union Budget 2017-18 – Is it beneficial for the common man? Union Budget is the annual report of India’s finances for the financial year. Till 2016, Union budget was presented on the last working day of February. From 2017, it is being presented on February 1st, so that entire budgetary exercise can be implemented from 1st April instead of June. Income tax rate for 2.5 to 5 lakh annual income slab is reduced from 10% to 5%. This is a major relief for an average Indian. In this budget, affordable housing projects are given infrastructure status. More investors and builders now take part in building affordable homes. Thereby own house dream will become a reality to many. Funds for health sector is increased by 23%. This is a big help for underprivileged and middle class people. Funds for infrastructure is increased. This increases the quality of life for common man. ‘Sankalp’ program was announced, which focuses on skill development and market training to youth of India. Safety of Train passengers is given importance. 1 lakh crore rupees is allotted for this. Service charge on train tickets is scrapped for tickets booked online. So, train journey becomes cheaper. This budget aims to double farmer’s income by 2022. 5000 post graduate seats in medical education will be added every year. This can solve the problem of scarcity of specialist doctors in rural areas. ‘Computer Emergency Response Team‘ was setup to check cyber frauds. This helps common people, who are vulnerable to cyber attacks amid India’s transition to cashless economy. Social security is given importance. LIC will implement a pension scheme that assures 8% annual return for senior citizens. Startups can now avail tax holiday for three years in the first seven years of existence. Earlier tax holiday is there for three years in the first five of years of the startup. This is a big advantage to youth who are launching their startups, because it takes time time to get success in startups. Low and middle income groups are given importance, whereas higher income group isn’t given any special facilities. Cash transactions above 3 lakhs is illegal from now. Common man is forced to go for cashless transactions. Handloom sector isn’t mentioned in the budget. This is a big blow to handloom weavers. Banking reforms are not given much importance as required. Big companies are left out. This year’s union budget tried to give equal importance to all sectors. Rather than concentrating on short term benefits, government focused on long-term benefits. Amid fears of developed countries to take Indian graduates, this year budget is trying to ensure a better future in India, so that there is no need to migrate to other countries for better quality of life. Union budget 2017-18 is definitely beneficial to common man. Afterwords :- Do you think union budget 2017-18 is beneficial for common man? Express your thoughts in the comment section below. Photo Credits: Cafe Credit via Flickr, under CC 2.0.
i would like to express my thought in the light of my understanding and knowledge. This budget is coerce to common and poor people to go for cashless economy, and banking system improvement for easy transaction is not mentioned in budget. government took money from all the informal sector under demonetization and we cant see anything announced for informal sector in the budget.